We stumbled across Rosslyn Coffee on their first day and have been fans ever since. 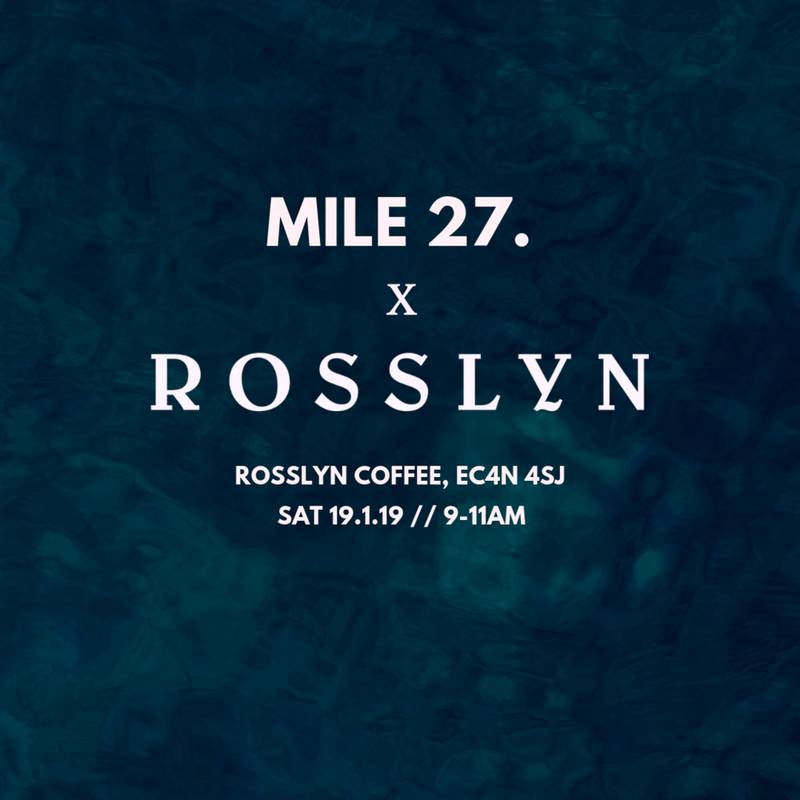 The coffee is hands down the best in London and the building they work their magic from isn’t half bad either (check out their instagram), just off Cannon St station in central London… So, we’re pretty pumped to be hosting Episode 2 from Rosslyn on Saturday 19th January. The plan is to meet at Rosslyn for 9am for five crisp morning miles (8.45-9min/mile pace) along the river followed by a brew or two back at Rosslyn HQ. All welcome, bring friends, no bag drop for this one so please come ready to run! PS. It’s free to join too. Any questions, don’t hesitate to drop us private message on Instagram.